A Civil Action is a movie based on true events surrounding a court case which involved environmental pollution. 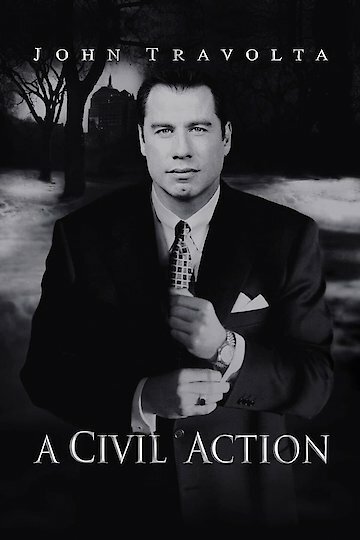 The movie stars John Travolta as the attorney named Jan Schlichtmann, who represents the people of Woburn, Massachusetts. The town has had several children die from leukemia with many more cases of cancer and leukemia turning up on a regular basis. The families who live in the area believe their water system may be contaminated with run off from nearby factories. The area tanneries are likely candidates for suspicion in the contaminated water. While the story begins with Jan depicted as a rich, successful attorney who drives a Porsche, he takes a deep interest in the plight of the families living in Woburn. The movie is an investigative drama with Jan doing a lot of work to uncover the truth about the town's water supply and the corporations which might be at fault. As with most large corporations, Jan soon discovers the owners of the tanneries are not easy to deal with. They will not admit to wrong doing which leads to having the water tested to find out which chemicals are actually present. The story has many layers which include the plight of the families in the town who are losing their children to a disease linked to the town's water supply. It also involves the battle between corporate America and the little guy. The initial ruling in the case is made in favor of the corporations. The story also shows the personal interest the plaintiff's attorney takes in trying to find justice for his clients. The final outcome to this story is not what viewers would expect to happen. Poor judgment and the lack of any real government support adds to a tragic ending for the families involved in the battle as well as for Jan and his law firm. A Civil Action is currently available to watch and stream, buy on demand at Amazon, Vudu, Google Play, iTunes, YouTube VOD online.